Greg Bennett feels his life has been a waste. Sixty years old and he has no one to spend Christmas with, no one who cares. Greg knows he's made mistakes, hurt people, failed in all the ways that matter. As a young man, he fathered a child he never acknowledged. He deserted a friend in his hour of need. He abandoned his own brother, whom he hasn't seen in years. Listlessly wandering the streets of San Francisco, Greg finds himself in church-and whispers a simple heartfelt prayer. 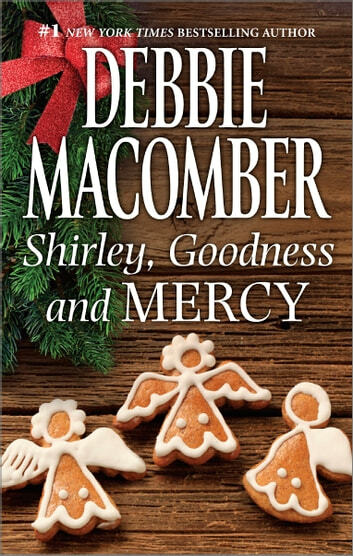 A prayer that wends its way to the Archangel Gabriel, who assigns his favorite angels-Shirley, Goodness and Mercy-to Greg Bennett's case. Because Gabriel knows full well that Greg's going to need the assistance of all THREE! 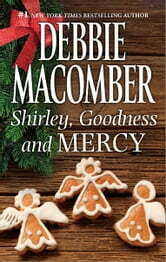 Shirley, Goodness and Mercy are determined to create a miracle for Greg. In their usual inimitable way, they set about to show him what life, joy and Christmas are all about! I just love this series. These three angels / prayer ambassadors are adorable! It's great to know that one kind gesture can make all the wrong be forgotten especially during the holiday season. I always like the adventures otese three angels... They start. Out with a. Difficult assignment of helping humans on Earth solve their problems, and , after a few comical incidents involving hot air balloons and crab cakes.. The. Antics of these angels. Always. Make for an enjoyable read.